Addressing the passing out parade of CISF probationers at Arakkonam in Tamil Nadu, he also said that cyber terrorism was a major threat and urged the CISF to upgrade and technologically advance itself to counter this. 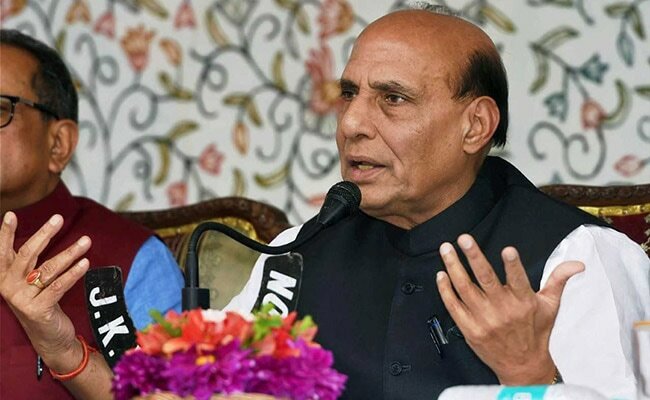 Chennai: Union Home Minister Rajnath Singh on Monday described India as one of the fastest emerging economies and said certain "anti-national forces" were not able to appreciate the visible economic progress. "India is one of the fastest emerging economies of the world but certain anti-India forces are not able to appreciate these visible economic trends," Mr Singh said in an apparent dig at those criticising the state of economy under the NDA regime. He said that Central Industrial Security Force (CISF) needed to maintain its core competence against terrorism so that the country's top strategic installations were not hit by any terror group. "The CISF should conduct regular security audits of all important buildings and installations. A specialised wing in the CISF should be created to conduct regular cyber security audits and build capacities to deal with cyber terrorism," the minister said.